Tote Bags are the new fashion-forward accessory for both men and women. Think eco-friendly life and tote bags are the first things you need to avoid plastic bags. Print On-demand and sell these tote bags for a price as low as Rs.100. Tote Bag Drop Shipping can be done from Qikink with your own custom designs. Create your designs, make a mockup of the tote bag with your designs using Qikink’s Mockup Generator tool. Sell those mockups on your web store. Once you get orders, Qikink will print on demand and deliver them to your customers directly. No minimum order quantity required. Tote bags goes to your customers with your design and brand name. Qikink’s name will not be mentioned anywhere. 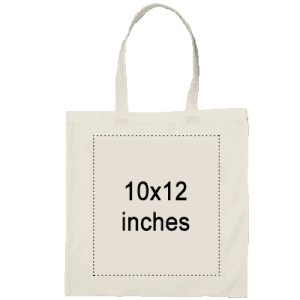 What is the material of Tote Bags? Our Tote Bags are made with 100% Cotton Woven Canvas Fabrics of minimum 200 GSM.